With respect to foreign trade, the key economic sector is manufacturing. The largest industries are electronics (21.6 percent), machinery, vehicles and other engineered metal products (21.1 percent), forest industry (13.1 percent), and chemicals (10.9 percent). Finland has timber and several mineral and freshwater resources. Forestry, paper factories, and the agricultural sector (on which taxpayers spend around 2 billion euro annually) are politically sensitive to rural residents. The Greater Helsinki area generates around a third of GDP. In a 2004 OECD comparison, high-technology manufacturing in Finland ranked second largest after Ireland. Knowledge-intensive services have also ranked the smallest and slow-growth sectors – especially agriculture and low-technology manufacturing – second largest after Ireland. [clarification needed] Investment was below expected. Overall short-term outlook was good and GDP growth has been above many EU peers. Finland has the 4th largest knowledge economy in Europe, behind Sweden, Denmark and the UK. The economy of Finland tops the ranking of Global Information Technology 2014 report by the World Economic Forum for concerted output between business sector, scholarly production and the governmental assistance on Information and communications technology. Finland is highly integrated in the global economy, and international trade is a third of GDP. The European Union makes 60 percent of the total trade. The largest trade flows are with Germany, Russia, Sweden, the United Kingdom, the United States, Netherlands and China. Trade policy is managed by the European Union, where Finland has traditionally been among the free trade supporters, except for agriculture. Finland is the only Nordic country to have joined the Eurozone; Denmark and Sweden have retained their traditional currencies, whereas Iceland and Norway are not members of the EU at all. Being geographically distant from Central Europe in relation to other Nordic countries, Finland struggled behind in terms of industrialization apart from the production of paper, which partially replaced the export of timber solely as a raw material towards the end of the nineteenth century. But as a relatively poor country, it was vulnerable to shocks to the economy such as the great famine of 1867-1868, which wiped out 15 percent of the population. Until the 1930s, the Finnish economy was predominantly agrarian and, as late as in the 1950s, more than half the population and 40 percent of output were still in the primary sector. Property rights were strong. While nationalization committees were set up in France and the United Kingdom, Finland avoided nationalizations. After failed experiments with protectionism, Finland eased restrictions and concluded a free trade agreement with the European Community in 1973, making its markets more competitive. Local education markets expanded and an increasing number of Finns also went abroad to study in the United States or Western Europe, bringing back advanced skills. There was a quite common, but pragmatic-minded, credit and investment cooperation by state and corporations, though it was considered with suspicion. Support for capitalism was widespread. Savings rate hovered among the world's highest, at around 8% until the 1980s. In the beginning of the 1970s, Finland's GDP per capita reached the level of Japan and the UK. Finland's economic development shared many aspects with export-led Asian countries. The official policy of neutrality enabled Finland to trade both with Western and Comecon markets. Significant bilateral trade was conducted with the Soviet Union, but this did not grow into a dependence. Like other Nordic countries, Finland has liberalized its system of economic regulation since late 1980s. Financial and product market regulations were modified. Some state enterprises were privatized and some tax rates were altered. In 1991, the Finnish economy fell into a severe recession. This was caused by a combination of economic overheating (largely due to a change in the banking laws in 1986 which made credit much more accessible), depressed markets with key trading partners (particularly the Swedish and Soviet markets) as well as local markets, slow growth with other trading partners, and the disappearance of the Soviet bilateral trade. Stock market and housing prices declined by 50%. The growth in the 1980s was based on debt, and when the defaults began rolling in, GDP declined by 13% and unemployment increased from a virtual full employment to one fifth of the workforce. The crisis was amplified by trade unions' initial opposition to any reforms. Politicians struggled to cut spending and the public debt doubled to around 60% of GDP. Much of the economic growth in the 1980s was based on debt financing, and the debt defaults led to a savings and loan crisis. A total of over 10 billion euros were used to bail out failing banks, which led to banking sector consolidation. After devaluations, the depression bottomed out in 1993. Finland joined the European Union in 1995. The central bank was given an inflation-targeting mandate until Finland joined the euro zone. The growth rate has since been one of the highest of OECD countries and Finland has topped many indicators of national performance. Finland was one of the 11 countries joining the third phase of the Economic and Monetary Union of the European Union, adopting the euro as the country's currency, on 1 January 1999. The national currency markka (FIM) was withdrawn from circulation and replaced by the euro (EUR) at the beginning of 2002. An oxeye daisy and a cow in Kyyjärvi, Central Finland. Finland's climate and soils make growing crops a particular challenge. The country lies between 60° and 70° north latitude - as far north as Alaska - and has severe winters and relatively short growing seasons that are sometimes interrupted by frosts. However, because the Gulf Stream and the North Atlantic Drift Current moderate the climate, and because of the relatively low elevation of the land area, Finland contains half of the world's arable land north of 60° north latitude. In response to the climate, farmers have relied on quick-ripening and frost-resistant varieties of crops. Most farmland had originally been either forest or swamp, and the soil had usually required treatment with lime and years of cultivation to neutralise excess acid and to develop fertility. Irrigation was generally not necessary, but drainage systems were often needed to remove excess water. Until the late nineteenth century, Finland's isolation required that most farmers concentrate on producing grains to meet the country's basic food needs. In the fall, farmers planted rye; in the spring, southern and central farmers started oats, while northern farmers seeded barley. Farms also grew small quantities of potatoes, other root crops, and legumes. Nevertheless, the total area under cultivation was still small. Cattle grazed in the summer and consumed hay in the winter. Essentially self-sufficient, Finland engaged in very limited agricultural trade. This traditional, almost autarkic, production pattern shifted sharply during the late nineteenth century, when inexpensive imported grain from Russia and the United States competed effectively with local grain. At the same time, rising domestic and foreign demand for dairy products and the availability of low-cost imported cattle feed made dairy and meat production much more profitable. These changes in market conditions induced Finland's farmers to switch from growing staple grains to producing meat and dairy products, setting a pattern that persisted into the late 1980s. In response to the agricultural depression of the 1930s, the government encouraged domestic production by imposing tariffs on agricultural imports. This policy enjoyed some success: the total area under cultivation increased, and farm incomes fell less sharply in Finland than in most other countries. Barriers to grain imports stimulated a return to mixed farming, and by 1938 Finland's farmers were able to meet roughly 90 percent of the domestic demand for grain. The disruptions caused by the Winter War and the Continuation War caused further food shortages, especially when Finland ceded territory, including about one-tenth of its farmland, to the Soviet Union. The experiences of the depression and the war years persuaded the Finns to secure independent food supplies to prevent shortages in future conflicts. After the war, the first challenge was to resettle displaced farmers. Most refugee farmers were given farms that included some buildings and land that had already been in production, but some had to make do with "cold farms," that is, land not in production that usually had to be cleared or drained before crops could be sown. The government sponsored large-scale clearing and draining operations that expanded the area suitable for farming. As a result of the resettlement and land-clearing programs, the area under cultivation expanded by about 450,000 hectares, reaching about 2.4 million hectares by the early 1960s. Finland thus came to farm more land than ever before, an unusual development in a country that was simultaneously experiencing rapid industrial growth. During this period of expansion, farmers introduced modern production practices. The widespread use of modern inputs—chemical fertilisers and insecticides, agricultural machinery, and improved seed varieties—sharply improved crop yields. Yet the modernisation process again made farm production dependent on supplies from abroad, this time on imports of petroleum and fertilisers. By 1984 domestic sources of energy covered only about 20 percent of farm needs, while in 1950 domestic sources had supplied 70 percent of them. In the aftermath of the oil price increases of the early 1970s, farmers began to return to local energy sources such as firewood. The existence of many farms that were too small to allow efficient use of tractors also limited mechanisation. Another weak point was the existence of many fields with open drainage ditches needing regular maintenance; in the mid-1980s, experts estimated that half of the cropland needed improved drainage works. At that time, about 1 million hectares had underground drainage, and agricultural authorities planned to help install such works on another million hectares. Despite these shortcomings, Finland's agriculture was efficient and productive—at least when compared with farming in other European countries. Forests play a key role in the country's economy, making it one of the world's leading wood producers and providing raw materials at competitive prices for the crucial wood-processing industries. As in agriculture, the government has long played a leading role in forestry, regulating tree cutting, sponsoring technical improvements, and establishing long-term plans to ensure that the country's forests continue to supply the wood-processing industries. Finland's wet climate and rocky soils are ideal for forests. Tree stands do well throughout the country, except in some areas north of the Arctic Circle. In 1980 the forested area totaled about 19.8 million hectares, providing 4 hectares of forest per capita—far above the European average of about 0.5 hectares. The proportion of forest land varied considerably from region to region. In the central lake plateau and in the eastern and northern provinces, forests covered up to 80 percent of the land area, but in areas with better conditions for agriculture, especially in the southwest, forests accounted for only 50 to 60 percent of the territory. The main commercial tree species—pine, spruce, and birch—supplied raw material to the sawmill, pulp, and paper industries. The forests also produced sizable aspen and elder crops. The heavy winter snows and the network of waterways were used to move logs to the mills. Loggers were able to drag cut trees over the winter snow to the roads or water bodies. In the southwest, the sledding season lasted about 100 days per year; the season was even longer to the north and the east. The country's network of lakes and rivers facilitated log floating, a cheap and rapid means of transport. Each spring, crews floated the logs downstream to collection points; tugs towed log bundles down rivers and across lakes to processing centers. The waterway system covered much of the country, and by the 1980s Finland had extended roadways and railroads to areas not served by waterways, effectively opening up all of the country's forest reserves to commercial use. Forestry and farming were closely linked. During the twentieth century, government land redistribution programmes had made forest ownership widespread, allotting forestland to most farms. In the 1980s, private farmers controlled 35 percent of the country's forests; other persons held 27 percent; the government, 24 percent; private corporations, 9 percent; and municipalities and other public bodies, 5 percent. 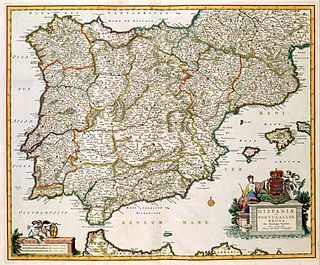 The forestlands owned by farmers and by other people—some 350,000 plots—were the best, producing 75 to 80 percent of the wood consumed by industry; the state owned much of the poorer land, especially that in the north. The ties between forestry and farming were mutually beneficial. Farmers supplemented their incomes with earnings from selling their wood, caring for forests, or logging; forestry made many otherwise marginal farms viable. At the same time, farming communities maintained roads and other infrastructure in rural areas, and they provided workers for forest operations. Indeed, without the farming communities in sparsely populated areas, it would have been much more difficult to continue intensive logging operations and reforestation in many prime forest areas. The Ministry of Agriculture and Forestry has carried out forest inventories and drawn up silvicultural plans. According to surveys, between 1945 and the late 1970s foresters had cut trees faster than the forests could regenerate them. Nevertheless, between the early 1950s and 1981, Finland was able to boost the total area of its forests by some 2.7 million hectares and to increase forest stands under 40 years of age by some 3.2 million hectares. Beginning in 1965, the country instituted plans that called for expanding forest cultivation, draining peatland and waterlogged areas, and replacing slow-growing trees with faster-growing varieties. By the mid-1980s, the Finns had drained 5.5 million hectares, fertilized 2.8 million hectares, and cultivated 3.6 million hectares. Thinning increased the share of trees that would produce suitable lumber, while improved tree varieties increased productivity by as much as 30 percent. Comprehensive silvicultural programmes had made it possible for the Finns simultaneously to increase forest output and to add to the amount and value of the growing stock. By the mid-1980s, Finland's forests produced nearly 70 million cubic meters of new wood each year, considerably more than was being cut. During the postwar period, the annual cut increased by about 120 percent to about 50 million cubic meters. Wood burning fell to one-fifth the level of the immediate postwar years, freeing up wood supplies for the wood-processing industries, which consumed between 40 million and 45 million cubic meters per year. Indeed, industry demand was so great that Finland needed to import 5 million to 6 million cubic meters of wood each year. To maintain the country's comparative advantage in forest products, Finnish authorities moved to raise lumber output toward the country's ecological limits. In 1984 the government published the Forest 2000 plan, drawn up by the Ministry of Agriculture and Forestry. The plan aimed at increasing forest harvests by about 3 percent per year, while conserving forestland for recreation and other uses. It also called for enlarging the average size of private forest holdings, increasing the area used for forests, and extending forest cultivation and thinning. If successful, the plan would make it possible to raise wood deliveries by roughly one-third by the end of the twentieth century. Finnish officials believed that such growth was necessary if Finland was to maintain its share in world markets for wood and paper products. Since the 1990s, Finnish industry, which for centuries had relied on the country's vast forests, has become increasingly dominated by electronics and services, as globalization lead to a decline of more traditional industries. Outsourcing resulted in more manufacturing being transferred abroad, with Finnish-based industry focusing to a greater extent on R&D and hi-tech electronics. The Finnish electronics and electrotechnics industry relies on heavy investment in R&D, and has been accelerated by the liberalisation of global markets. Electrical engineering started in the late 19th century with generators and electric motors built by Gottfried Strömberg, now part of the ABB Group. Other Finnish companies – such as Instru, Vaisala and Neles (now part of Metso) - have succeeded in areas such as industrial automation, medical and meteorological technology. Nokia was once a world leader in mobile telecommunications. Finland has an abundance of minerals, but many large mines have closed down, and most raw materials are now imported. For this reason, companies now tend to focus on high added-value processing of metals. The exports include steel, copper, chromium, zinc and nickel, and finished products such as steel roofing and cladding, welded steel pipes, copper pipe and coated sheets. Outokumpu is known for developing the flash smelting process for copper production and stainless steel. With regard to vehicles, the Finnish motor industry consists mostly of manufacturers of tractors (Valtra, formerly Valmet tractor), forest machines (f.ex. Ponsse), military vehicles (Sisu, Patria), trucks (Sisu Auto), buses and Valmet Automotive, a contract manufacturer, whose factory in Uusikaupunki produces Mercedes-Benz cars. Shipbuilding is an important industry: the world's largest cruise ships are built in Finland; also, the Finnish company Wärtsilä produces the world's largest diesel engines and has market share of 47%. In addition, Finland also produces train rolling stock. The manufacturing industry is a significant employer of about 400,000 people. The chemical industry is one of the Finland's largest industrial sectors with its roots in tar making in the 17th century. It produces an enormous range of products for the use of other industrial sectors, especially for forestry and agriculture. In addition, its produces plastics, chemicals, paints, oil products, pharmaceuticals, environmental products, biotech products and petrochemicals. In the beginning of this millennium, biotechnology was regarded as one of the most promising high-tech sectors in Finland. In 2006 it was still considered promising, even though it had not yet become "the new Nokia". 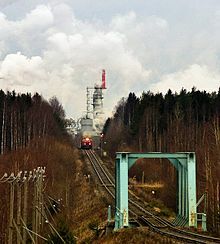 A freight train departing from a pulp mill in Äänekoski. Forest products has been the major export industry in the past, but diversification and growth of the economy has reduced its share. In the 1970s, the pulp and paper industry accounted for half of Finnish exports. Although this share has shrank, pulp and paper is still a major industry with 52 sites across the country. Furthermore, several of large international corporations in this business are based in Finland. Stora Enso and UPM were placed #1 and #3 by output in the world, both producing more than ten million tons. M-real and Myllykoski also appear on the top 100 list. Finland's energy supply is divided as follows: nuclear power - 26%, net imports - 20%, hydroelectric power - 16%, combined production district heat - 18%, combined production industry - 13%, condensing power - 6%. One half of all the energy consumed in Finland goes to industry, one fifth to heating buildings and one fifth to transport. Lacking indigenous fossil fuel resources, Finland has been an energy importer. This might change in the future since Finland is currently building its fifth and approved the building permits for its sixth and seventh reactors. There are some uranium resources in Finland, but to date no commercially viable deposits have been identified for exclusive mining of uranium. However, permits have been granted to Talvivaara to produce uranium from the tailings of their nickel-cobalt mine. Notable companies in Finland include Nokia, the former market leader in mobile telephony; Stora Enso, the largest paper manufacturer in the world; Neste Oil, an oil refining and marketing company; UPM-Kymmene, the third largest paper manufacturer in the world; Aker Finnyards, the manufacturer of the world's largest cruise ships (such as Royal Caribbean's Freedom of the Seas); Rovio Mobile, video game developer most notable for creating Angry Birds; KONE, a manufacturer of elevators and escalators; Wärtsilä, a producer of power plants and ship engines; and Finnair, the largest Helsinki-Vantaa based international airline. Additionally, many Nordic design firms are headquartered in Finland. These include the Fiskars owned Iittala Group, Artek a furniture design firm co-created by Alvar Aalto, and Marimekko made famous by Jacqueline Kennedy Onassis. Finland has sophisticated financial markets comparable to the UK in efficiency. Though foreign investment is not as high as some other European countries, the largest foreign-headquartered companies included names such as ABB, Tellabs, Carlsberg, and Siemens. Around 70-80% of the equity quoted on the Helsinki Stock Exchange are owned by foreign-registered entities. The larger companies get most of their revenue from abroad, and the majority of their employees work outside the country. Cross-shareholding has been abolished and there is a trend towards an Anglo-Saxon style of corporate governance. However, only around 15% of residents have invested in stock market, compared to 20% in France, and 50% in the US. Between 2000-2003, early stage venture capital investments relative to GDP were 8.5 percent against 4 percent in the EU and 11.5 in the US. Later stage investments fell to the EU median. Invest in Finland and other programs attempt to attract investment. In 2000 FDI from Finland to overseas was 20 billion euro and from overseas to Finland 7 billion euro. Acquisitions and mergers have internationalized business in Finland. Although some privatization has been gradually done, there are still several state-owned companies of importance. The government keeps them as strategic assets or because they are natural monopoly. These include e.g. Neste Oil, VR (rail), Finnair, VTT (research) and Itella (mail). Depending on the strategic importance, the government may hold either 100%, 51% or less than 50% stock. Most of these have been transformed into regular limited companies, but some are quasi-governmental (liikelaitos), with debt backed by the state, as in the case of VTT. Finland's income is generated by the approximately 1.8 million private sector workers, who make an average 25.1 euro per hour (before the median 60% tax wedge) in 2007. According to a 2003 report, residents worked on average around 10 years for the same employer and around 5 different jobs over a lifetime. 62 percent worked for small and medium-sized enterprises. Female employment rate was high and gender segregation on career choices was higher than in the US. In 1999 part-time work rate was one of the smallest in OECD. Future liabilities are dominated by the pension deficit. Unlike in Sweden, where pension savers can manage their investments, in Finland employers choose a pension fund for the employee. The pension funding rate is higher than in most Western European countries, but still only a portion of it is funded and pensions exclude health insurances and other unaccounted promises. Directly held public debt has been reduced to around 32 percent in 2007. In 2007, the average household savings rate was -3.8 and household debt 101 percent of annual disposable income, a typical level in Europe. 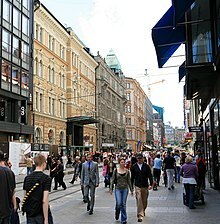 In 2008, the OECD reported that "the gap between rich and poor has widened more in Finland than in any other wealthy industrialised country over the past decade" and that "Finland is also one of the few countries where inequality of incomes has grown between the rich and the middle-class, and not only between rich and poor." In 2006, there were 2,381,500 households of average size 2.1 people. Forty percent of households consisted of single person, 32 percent two and 28 percent three or more. There were 1.2 million residential buildings in Finland and the average residential space was 38 square metres per person. The average residential property (without land) cost 1,187 euro per square metre and residential land on 8.6 euro per square metre. Consumer energy prices were 8-12 euro cent per kilowatt hour. 74 percent of households had a car. There were 2.5 million cars and 0.4 other vehicles. Around 92 percent have mobile phones and 58 percent Internet connection at home. The average total household consumption was 20,000 euro, out of which housing at around 5500 euro, transport at around 3000 euro, food and beverages excluding alcoholic at around 2500 euro, recreation and culture at around 2000 euro. Upper-level white-collar households (409,653) consumed an average 27,456 euro, lower-level white-collar households (394,313) 20,935 euro, and blue-collar households (471,370) 19,415 euro. The unemployment rate was 10.3% in 2015. The employment rate is (persons aged 15–64) 66.8%. Unemployment security benefits for those seeking employment are at an average OECD level. The labor administration funds labour market training for unemployed job seekers, the training for unemployed job seeker can last up to 6 months, which is often vocational. The aim of the training is to improve the channels of finding employment. The American economist and The New York Times columnist Paul Krugman has suggested that the short term costs of euro membership to the Finnish economy outweigh the large gains caused by greater integration with the European economy. Krugman notes, that Sweden which has yet to join the single currency, had similar rates of growth compared to Finland for the period since the introduction of the euro. Membership of the euro protects Finland from currency fluctuation, which is particularly important for small member states of the European Union like Finland that are highly integrated into the larger European economy. If Finland had retained its own currency, an unpredictable exchange rates would prevent the country from selling its products at competitive prices on the European market. In fact, business leaders in Sweden, which is obliged to join the euro when its economy has converged with the eurozone, are almost universal in their support for joining the euro. Although Sweden's currency is not officially pegged to the euro like Denmark's currency the Swedish government maintains an unofficial peg. This exchange rate policy has in the short term benefited the Swedish economy in two ways; (1) much of Sweden's European trade is already denominated in euros and therefore bypasses any currency fluctuation and exchange rate losses, (2) it allows Sweden's non euro-area exports to remain competitive by dampening any pressure from the financial markets to increase the value of the currency. Maintaining this balance has allowed the Swedish government to borrow on the international financial markets at record low interest rates and allowed the Swedish central bank to quantitatively ease into a fundamentally sound economy. 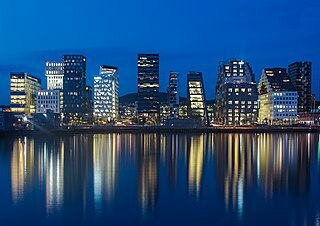 This has led Sweden's economy to prosper at the expense of less sound economies who have been impacted by the 2008 financial crisis. Sweden's economic performance has therefore been slightly better than Finland's since the financial crisis of 2008. Much of this disparity has, however, been due to the economic dominance of Nokia, Finlands largest company and Finland's only major multinational. Nokia supported and greatly benefited from the euro and the European single market, particularly from a common European digital mobile phone standard (GSM), but it failed to adapt when the market shifted to mobile computing. One reason for the popularity of the euro in Finland is the memory of a 'great depression' which began in 1990, with Finland not regaining it competitiveness until approximately a decade later when Finland joined the single currency. Some American economists like Paul Krugman claim not to understand the benefits of a single currency and allege that poor economic performance is the result of membership of the single currency. These economists do not, however, advocate separate currencies for member states within the American union, many of which have quite disparate economies. Finnish politicians have often emulated other Nordics and the Nordic model. Nordic's have been free-trading and relatively welcoming to skilled migrants for over a century, though in Finland immigration is a relatively new phenomenon. This is due largely to Finland's less hospitable climate and the fact that the Finnish language shares roots with none of the major world languages, making it more challenging than average for most to learn. The level of protection in commodity trade has been low, except for agricultural products. As an economic environment, Finland's judiciary is efficient and effective. Finland is highly open to investment and free trade. Finland has top levels of economic freedom in many areas, although there is a heavy tax burden and inflexible job market. Finland is ranked 16th (ninth in Europe) in the 2008 Index of Economic Freedom. Recently, Finland has topped the patents per capita statistics, and overall productivity growth has been strong in areas such as electronics. While the manufacturing sector is thriving, OECD points out that the service sector would benefit substantially from policy improvements. The IMD World Competitiveness Yearbook 2007 ranked Finland 17th most competitive, next to Germany, and lowest of the Nordics. while the World Economic Forum report has ranked Finland the most competitive country. Finland is one of the most fiscally responsible EU countries. Economists attribute much growth to reforms in the product markets. According to OECD, only four EU-15 countries have less regulated product markets (UK, Ireland, Denmark and Sweden) and only one has less regulated financial markets (Denmark). Nordic countries were pioneers in liberalising energy, postal, and other markets in Europe. The legal system is clear and business bureaucracy less than most countries. For instance, starting a business takes an average of 14 days, compared to the world average of 43 days and Denmark's average of 6 days. Property rights are well protected and contractual agreements are strictly honored. Finland is rated one of the least corrupted countries in Corruption Perceptions Index. Finland is rated 13th in the Ease of Doing Business Index. It indicates exceptional ease to trade across borders (5th), enforce contracts (7th), and close a business (5th), and exceptional hardship to employ workers (127th) and pay taxes (83rd). According to the OECD, Finland's job market is the least flexible of the Nordic countries. Finland increased job market regulation in the 1970s to provide stability to manufacturers. In contrast, during the 1990s, Denmark liberalised its job market, Sweden moved to more decentralised contracts, whereas Finnish trade unions blocked many reforms. Many professions have legally recognized industry-wide contracts that lay down common terms of employment including seniority levels, holiday entitlements, and salary levels, usually as part of a Comprehensive Income Policy Agreement. Those who favor less centralized labor market policies consider these agreements bureaucratic, inflexible, and along with tax rates, a key contributor to unemployment and distorted prices. Centralized agreements may hinder structural change as there are fewer incentives to acquire better skills, although Finland already enjoys one of the highest skill-levels in the world. Tax is collected mainly from municipal income tax, state income tax, state value added tax, customs fees, corporate taxes and special taxes. There are also property taxes, but municipal income tax pays most of municipal expenses. Taxation is conducted by a state agency, Verohallitus, which collects income taxes from each paycheck, and then pays the difference between tax liability and taxes paid as tax rebate or collects as tax arrears afterward. Municipal income tax is a flat tax of nominally 15-20%, with deductions applied, and directly funds the municipality (a city or rural locality). The state income tax is a progressive tax; low-income individuals do not necessarily pay any. The state transfers some of its income as state support to municipalities, particularly the poorer ones. Additionally, the state churches - Finnish Evangelical Lutheran Church and Finnish Orthodox Church - are integrated to the taxation system in order to tax their members. The middle income worker's tax wedge is 46% and effective marginal tax rates are very high. Value-added tax is 24% for most items. Capital gains tax is 30-34% and corporate tax is 20%, about the EU median. Property taxes are low, but there is a transfer tax (1.6% for apartments or 4% for individual houses) for home buyers. There are high excise taxes on alcoholic beverages, tobacco, automobiles and motorcycles, motor fuels, lotteries, sweets and insurances. For instance, McKinsey estimates that a worker has to pay around 1600 euro for another's 400 euro service - restricting service supply and demand - though some taxation is avoided in the black market and self-service culture. Another study by Karlson, Johansson & Johnsson estimates that the percentage of the buyer’s income entering the service vendor’s wallet (inverted tax wedge) is slightly over 15%, compared to 10% in Belgium, 25% in France, 40% in Switzerland and 50% in the United States. [needs update] Tax cuts have been in every post-depression government's agenda and the overall tax burden is now around 43% of GDP compared to 51.1% in Sweden, 34.7% in Germany, 33.5% in Canada, and 30.5% in Ireland. State and municipal politicians have struggled to cut their consumption, which is very high at 51.7% of GDP compared to 56.6% in Sweden, 46.9 in Germany, 39.3 in Canada, and 33.5% in Ireland. Much of the taxes are spent on public sector employees, many of which are jobs-for-life and amount to 124,000 state employees and 430,000 municipal employees. That is 113 per 1000 residents (over a quarter of workforce) compared to 74 in the US, 70 in Germany, and 42 in Japan (8% of workforce). The Economist Intelligence Unit's ranking for Finland's e-readiness is high at 13th, compared to 1st for United States, 3rd for Sweden, 5th for Denmark, and 14th for Germany. Also, early and generous retirement schemes have contributed to high pension costs. Social spending such as health or education is around OECD median. Social transfers are also around OECD median. In 2001 Finland's outsourced proportion of spending was below Sweden's and above most other Western European countries. Finland's health care is more bureaucrat-managed than in most Western European countries, though many use private insurance or cash to enjoy private clinics. Some reforms toward more equal marketplace have been made in 2007-2008. In education, child nurseries, and elderly nurseries private competition is bottom-ranking compared to Sweden and most other Western countries. Some public monopolies such Alko remain, and are sometimes challenged by the European Union. The state has a programme where the number of jobs decreases by attrition: for two retirees, only one new employee is hired. Finland's export-dependent economy continuously adapted to the world market; in doing so, it changed Finnish society as well. The prolonged worldwide boom, beginning in the late 1940s and lasting until the first oil crisis in 1973, was a challenge that Finland met and from which it emerged with a highly sophisticated and diversified economy, including a new occupational structure. Some sectors kept a fairly constant share of the work force. Transportation and construction, for example, each accounted for between 7 and 8 percent in both 1950 and 1985, and manufacturing's share rose only from 22 to 24 percent. However, both the commercial and the service sectors more than doubled their share of the work force, accounting, respectively, for 21 and 28 percent in 1985. The greatest change was the decline of the economically active population employed in agriculture and forestry, from approximately 50 percent in 1950 to 10 percent in 1985. The exodus from farms and forests provided the labour power needed for the growth of other sectors. Studies of Finnish mobility patterns since World War II have confirmed the significance of this exodus. Sociologists have found that people with a farming background were present in other occupations to a considerably greater extent in Finland than in other West European countries. Finnish data for the early 1980s showed that 30 to 40 percent of those in occupations not requiring much education were the children of farmers, as were about 25 percent in upper-level occupations, a rate two to three times that of France and noticeably higher than that even of neighboring Sweden. Finland also differed from the other Nordic countries in that the generational transition from the rural occupations to white-collar positions was more likely to be direct, bypassing manual occupations. The most important factor determining social mobility in Finland was education. Children who attained a higher level of education than their parents were often able to rise in the hierarchy of occupations. A tripling or quadrupling in any one generation of the numbers receiving schooling beyond the required minimum reflected the needs of a developing economy for skilled employees. Obtaining advanced training or education was easier for some than for others, however, and the children of white-collar employees still were more likely to become white-collar employees themselves than were the children of farmers and blue-collar workers. In addition, children of white-collar professionals were more likely than not to remain in that class. The economic transformation also altered income structure. A noticeable shift was the reduction in wage differentials. The increased wealth produced by an advanced economy was distributed to wage earners via the system of broad income agreements that evolved in the postwar era. Organized sectors of the economy received wage hikes even greater than the economy's growth rate. As a result, blue-collar workers' income came, in time, to match more closely the pay of lower level white-collar employees, and the income of the upper middle class declined in relation to that of other groups. The long trend of growth in living standards paired with diminishing differences between social classes was dramatically reversed during the 1990s. For the first time in the history of Finland income differences have sharply grown. This change has been mostly driven by the growth of income from capital to the wealthiest segment of the population. ^ a b "Report for Selected Countries and Subjects". Imf.org. 2006-09-14. Retrieved 2015-04-26. ^ "Statistics Finland - National Accounts 2016". Tilastokeskus.fi. 2017-07-13. Retrieved 2017-10-07. ^ "Inflation". Findikaattori.fi. 2017-02-20. Retrieved 2017-02-25. ^ "In 2011, 24% of the population were at risk of poverty or social exclusion" (PDF). Luxembourg: Eurostat. 3 December 2012. Archived from the original (PDF) on 24 December 2012. Retrieved 25 December 2012. ^ "Statistics Finland - Total statistics on income distribution 2010". Stat.fi. 2011-12-16. Retrieved 2015-04-26. ^ "Unemployment rate 5.3 per cent in March". Statistics Finland. Retrieved 20 May 2017. ^ Toivonen, Kirsi. "Statistics Finland - Labour Force Survey". Stat.fi. Retrieved 29 December 2017. ^ "Ease of Doing Business in Finland". Doingbusiness.org. Retrieved 2017-11-21. ^ a b Tilastokeskus. "Kauppa". tilastokeskus.fi. Retrieved 21 May 2018. ^ "Statistics Finland". Stat.fi. Retrieved 2015-04-26. ^ "Central government's net financial assets (-31.4 billion) as percentage of 2010 gdp (180 billion)". Stat.fi. 2011-12-16. Retrieved 2015-04-26. ^ "Statistics Finland - National Accounts 2010". Stat.fi. 2011-07-14. Retrieved 2015-04-26. ^ "Scope affirms the Republic of Finland's credit rating at AA+ with Stable Outlook". Scope Ratings. Retrieved 16 February 2018. ^ "International Reserves and Foreign Currency Liquidity - FINLAND". International Monetary Fund. 4 May 2011. Retrieved 31 May 2011. ^ "Finland in Figures – National Accounts". Statistics Finland. Retrieved 2007-04-26. ^ "Finland - Employment by economic sector | Statistic". Statista. Retrieved 2016-05-02. ^ "Finland in Figures – Manufacturing". Statistics Finland. Retrieved 2007-04-26. ^ "Finland - Area, population and GDP by region | Statistic". Statistics Finland. Retrieved 2016-08-09. ^ "The Global Information Technology Report 2014 : Rewards and Risks of Big Data" (PDF). 3.weforum.org. Retrieved 29 December 2017. ^ a b "Finnish Economy". Embassy of Finland. Archived from the original on 23 July 2011. Retrieved 2008-05-07. ^ Baten, Jörg (2016). A History of the Global Economy. From 1500 to the Present. Cambridge University Press. p. 23. ISBN 9781107507180. ^ a b Markus Jäntti; Juho Saari; Juhana Vartiainen (November 2005). "Growth and equity in Finland" (PDF). Siteresources.worldbank.org. Retrieved 29 December 2017. ^ "Rahoitusmarkkinoiden liberalisointi". Taloustieto Oy. Retrieved 29 April 2013. ^ a b c "Inflation targeting: Reflection from the Finnish experience" (PDF). Archived from the original (PDF) on 22 February 2010. Retrieved 2015-04-26. ^ "Converted". Archived from the original on 7 February 2012. Retrieved 26 April 2015. ^ a b c Text from PD source: US Library of Congress: A Country Study: Finland, Library of Congress Call Number DL1012 .A74 1990. ^ a b "Finnish industry: constantly adapting to a changing world — Virtual Finland". 17 January 2009. Archived from the original on 17 January 2009. Retrieved 29 December 2017. ^ Finland in Figures. "Tilastokeskus - Labour Market". Tilastokeskus.fi. Retrieved 2015-04-26. ^ "Monien mahdollisuuksien teknologia" (PDF). Tekes.fi. 2006. Archived from the original (PDF) on 15 April 2015. Retrieved 29 December 2017. ^ "The PPI Top 100". Risiinfo.com. 30 September 2007. Archived from the original on 15 October 2015. Retrieved 26 April 2015. 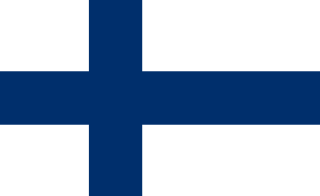 ^ Finland 1917-2007 (2007-03-30). "Statistics Finland - Changes in the use and sources of energy". Stat.fi. Retrieved 2015-04-26. ^ "Wayback Machine" (PDF). 27 May 2012. Archived from the original (PDF) on 27 May 2012. Retrieved 29 December 2017. ^ "Uraanikaivokset". Gtk.fi. Archived from the original on 18 March 2015. Retrieved 26 April 2015. ^ "The largest companies (turnover)". Largestcompanies.com. Archived from the original on 11 December 2007. Retrieved 2007-04-30. ^ "Iittala Group". Linkedin.com. Retrieved 2012-12-08. ^ "Quick History: Marimekko". Apartmenttherapy.com. Retrieved 2012-12-08. ^ a b c d "Country Rankings: World & Global Economy Rankings on Economic Freedom". Heritage.org. Retrieved 29 December 2017. ^ a b "Wayback Machine" (PDF). 26 March 2009. Archived from the original (PDF) on 26 March 2009. Retrieved 29 December 2017. ^ "Wayback Machine". 19 December 2008. Archived from the original on 19 December 2008. Retrieved 29 December 2017. ^ a b c d e f g h "Wayback Machine" (PDF). 5 September 2012. Archived from the original (PDF) on 5 September 2012. Retrieved 29 December 2017. ^ "Invest in Finland". Investinfinland.fi. Retrieved 2015-04-26. ^ "State majority-owned companies". Vnk.fi. Retrieved 2017-11-29. ^ "Tilastokeskus - Tehdyn työtunnin hinta 23-27 euroa". Stat.fi. Retrieved 29 December 2017. ^ "Tilastokeskus - Pienten ja keskisuurten yritysten merkitys työllistäjinä on kasvanut" (in Finnish). Tilastokeskus.fi. 2008-02-14. Retrieved 2015-04-26. ^ "CIA Factbook: Public Debt". Cia.gov. Retrieved 2015-04-26. ^ "Sähkön hinta kuluttajatyypeittäin 1994-, c/kWh". Stat.fi. 2007-12-13. Retrieved 2015-04-26. ^ "Statistics Finland: Transport and Tourism". Tilastokeskus.fi. Retrieved 2015-04-26. ^ "Own-account worker households' consumption has grown most in 2001-2006". Tilastokeskus.fi. Retrieved 2015-04-26. ^ Viinikka, Joanna. "Statistics Finland - Labour Force Survey". tilastokeskus.fi. Retrieved 29 December 2017. ^ "Unemployment rate 10.3 per cent in March". Statistics Finland. 23 April 2015. Retrieved 20 May 2015. ^ Bradshaw, Julia (27 August 2015). "Sweden's monetary drama could turn noir". Telegraph.co.uk. Retrieved 29 December 2017. ^ "The Finnish Disease". Krugman.blogs.nytimes.com. Retrieved 29 December 2017. ^ "Kilpailuvalvonta, kilpailun edistäminen ja hankintojen valvonta". Kilpailu- ja kuluttajavirasto. ^ "World Competitiveness Rankings - IMD". IMD business school. ^ "Global Competitiveness Report". World Economic Forum. Archived from the original on 25 January 2007. Retrieved 2007-01-22. ^ "Country Rankings: World & Global Economy Rankings on Economic Freedom". Heritage.org. Retrieved 29 December 2017. ^ "Ranking of economies - Doing Business - World Bank Group". Doingbusiness.org. Retrieved 29 December 2017. ^ "Yrityskohtaiset palkkaratkaisut – Yritysten kokemuksia ja vihjeitä toteutukseen" (PDF) (in Finnish). Elinkeinoelämän keskusliitto. 2001. Archived from the original (PDF) on 13 May 2013. ^ a b Verohallitus. Taxation of resident individuals: Gross income. "Finnish Tax Administration". Retrieved 14 June 2016. ^ "Countries Compared by Economy > Tax > Total tax wedge > Single worker. International Statistics at NationMaster.com". Nationmaster.com. Retrieved 29 December 2017. ^ Tilastokeskus. "Government Finance". Tilastokeskus.fi. ^ "Yritysverotus kilpailukykyinen – seuraavaksi palkkavero pohjoismaiselle tasolle - Elinkeinoelämän keskusliitto". Ek.fi. Retrieved 29 December 2017. Tariffs applied by Finland as provided by ITC's Market Access Map, an online database of customs tariffs and market requirements. Hungary is an OECD high-income mixed economy with a very high human development index and a skilled labour force, with the 13th lowest income inequality in the world; furthermore it is the 14th most complex economy according to the Economic Complexity Index. The Hungarian economy is the 57th-largest economy in the world with $265.037 billion annual output, and ranks 49th in the world in terms of GDP per capita measured by purchasing power parity. Hungary is an export-oriented market economy with a heavy emphasis on foreign trade; thus the country is the 35th largest export economy in the world. The country had more than $100 billion of exports in 2015, with a high trade surplus of $9.003 billion, of which 79% went to the EU and 21% was extra-EU trade. Hungary's productive capacity is more than 80% privately owned, with 39.1% overall taxation, which funds the country's welfare economy. On the expenditure side, household consumption is the main component of GDP and accounts for 50% of its total, followed by gross fixed capital formation with 22% and government expenditure with 20%.